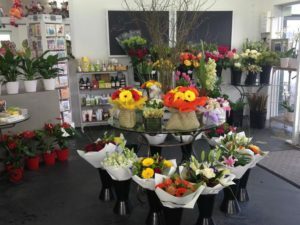 Bays Flowers, located on Auckland’s North Shore has been providing quality flowers for more than 20 years. We take pride in creating fresh, lasting bouquets and arrangements for every occasion. We personally purchase our flowers three times a week from the Auckland Flower Markets, ensuring freshness and quality at all times. We value our customers and provide exceptional customer service, quality flowers and great value for money. We are delighted to regularly receive fantastic feedback on the freshness and lasting quality of our flowers. We deliver Auckland wide and can provide a National and International service through Interflora.